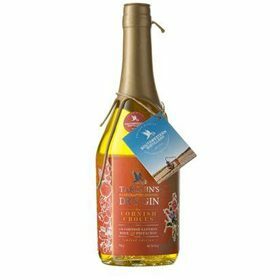 Southwestern Distillery, producer of Tarquin’s Cornish Gin, has created a limited edition expression using Cornish-grown saffron – one of the world’s “rarest and most expensive” spices. The Cornish Crocus Gin is infused with local saffron grown by the Cornish Saffron Company in nearby coastal village, Portscatho. More than 20,000 individual crocus flowers are planted, harvested and the saffron stigmas plucked by hand, resulting in a spice priced at £40 per gram – more than twice the price of 24 carat gold, accruing to Southwestern. Saffron is thought to have been introduced to the UK by the Phoenicians in the 14th century, and was traded in Cornwall for tin and copper. The last recorded saffron field in the county was sold in Penryn, Cornwall at the end of the 19th century. Modern day ‘Crocurs’ Brian and Margaret Eyers are reviving the Cornish industry, growing saffron on the Roseland Peninsula, which overlooks Gerrans Bay. The Cornish Crocus Gin is bottled, labelled, wax, stamped and individually signed by hand.